Lisa began studying and practicing Yoga in 1986. She apprenticed for three years with her principal teacher, Janet Bhuyan, in Kalamazoo, Michigan, before becoming a Yoga teacher. 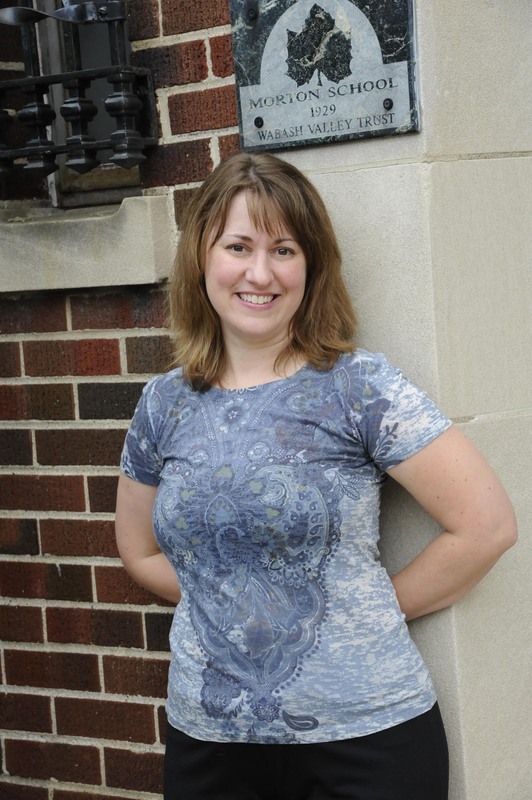 Lisa continued to study with Janet while teaching in Kalamazoo, until 1991 when her family moved to West Lafayette. She taught Yoga at the YWCA for one year and then began teaching at Morton Community Center, where she remains. Lisa also studied teacher training with Erich Schiffmann and Judith Lasater. She belongs to both the Indiana and Michigan Associations, and continues her education by attending several workshops a year. She describes her style as an eclectic blend of all her wonderful teachers combined with her personal practice. Lisa obtained a Bachelors degree in Biology from Purdue University and her Masters degree in Science Education from Western Michigan University. She was a high school Chemistry teacher and a Research Assistant before pursuing teaching Yoga as her true vocation. I look at yoga as a journey to be approached in a joyful way. My approach is an eclectic blend of Hatha yoga influenced by a variety of styles and teachers. I love the people drawn to yoga. Sharing and experiencing the transforming effects of yoga asanas (postures), with others provides the motivation for my teaching and continued study. 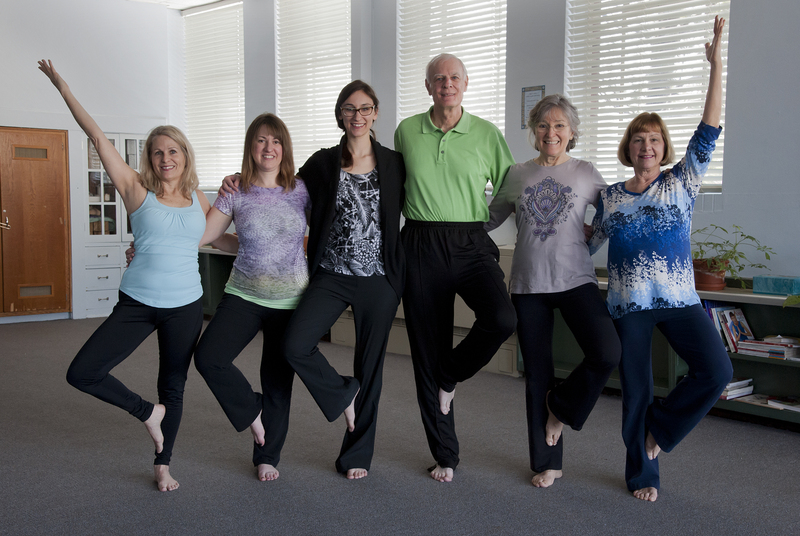 I began teaching in 2002 and started the yoga program at McAllister Center in 2004. Currently I am teaching at the Morton Center and McAllister Center. I also teach private classes to corporations and individuals. Debra is an E-RYT200 teacher. She began practicing yoga almost 20 years ago and, relishing the role of a perpetual student, has found that her practice has been a continual learning experience. To deepen her own practice, Debra completed 200-hour teacher training at All People Yoga Center under the direction of Dona Robinson and Ann Miller in 2012. With the gentle guidance of a good mentor and friend, she took the leap into teaching in 2013 and has loved every minute of it. She has continued learning through workshops with master teachers Erich Schiffmann and Sarah Powers. 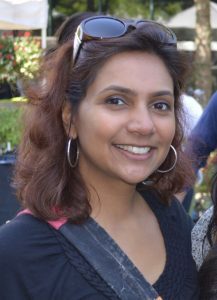 In 2014, she completed Yoga of the Heart: Cardiac and Cancer certification with Nischala Joy Devi and is currently working toward her 300-hour certification at Indiana Yoga Studio and Gentle, Senior and Chair certification through YogaVista Academy. In her classes, Debra combines gentle yet dynamic movements with creative sequencing and a sense of humor. Her goal is for students to step off their mats and into the world feeling powerful, recharged, peaceful, and refreshed. Lacey began practicing yoga in 2016 at the Morton Community Center. Lacey is passionate about making yoga accessible to a wide variety of bodies and is focused on this in her practice and teaching. People in larger bodies are often told that their bodies are their greatest weakness, something to be fought against and controlled. 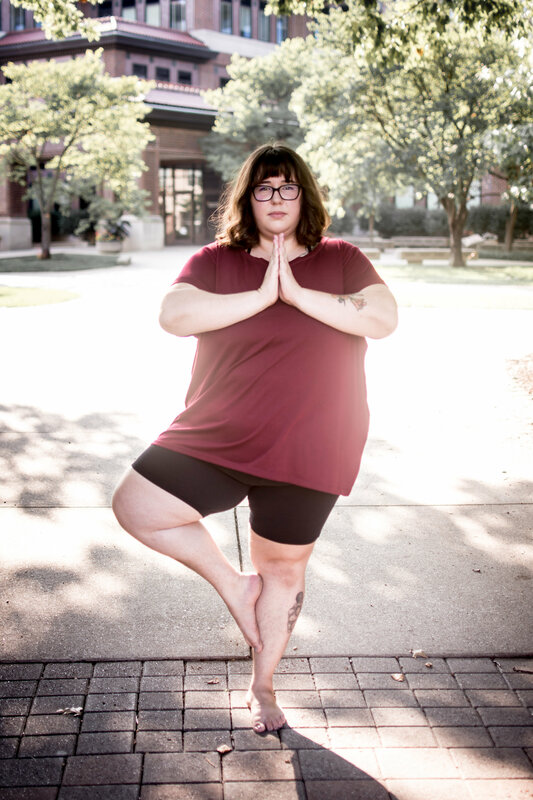 Lacey believes that the practice of yoga is one way to begin to unlearn some of these messages and feel the power of one’s body just as it is. Lacey draws inspiration and lessons from Amber Karnes, Dianne Bondy, Jessamyn Stanley, Dana Falsetti, and Louise Green. Lacey is currently working toward her 200-hour Yoga Teacher Certification with the Living Yoga Program in Austin, TX and will finish the certification in August 2018. In addition, she will complete a Yoga for All certification with Amber Karnes and Dianne Bondy in the Fall of 2018. 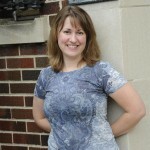 Lacey is also a graduate student at Purdue University where she is pursing her PhD in Philosophy. Her work focuses on the mind and cognition and the ways in which both can be connected to various social oppressions and paths to liberation. She utilizes this work in her yoga practice and connects embodiment and movement to the fight for a better world.